Adam Sawatsky has been covering Vancouver Island’s arts and culture community for more than a decade. 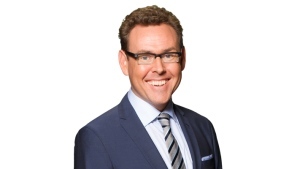 Prior to joining CTV News, he worked as a radio theatre critic, and a professional film and theatre actor, performing on every major stage in Victoria. In his current role co-hosting CTV News at 5, Adam covers everything from arts and culture to pop culture and celebrity secrets. You can also see him on CTV News at 6, where he applies his unique perspective to island life on "Sawatsky Sign-Off." Even with all of that, he still has free time, which Adam spends with his wife, Cheryl, and their sons Liam and Owen.